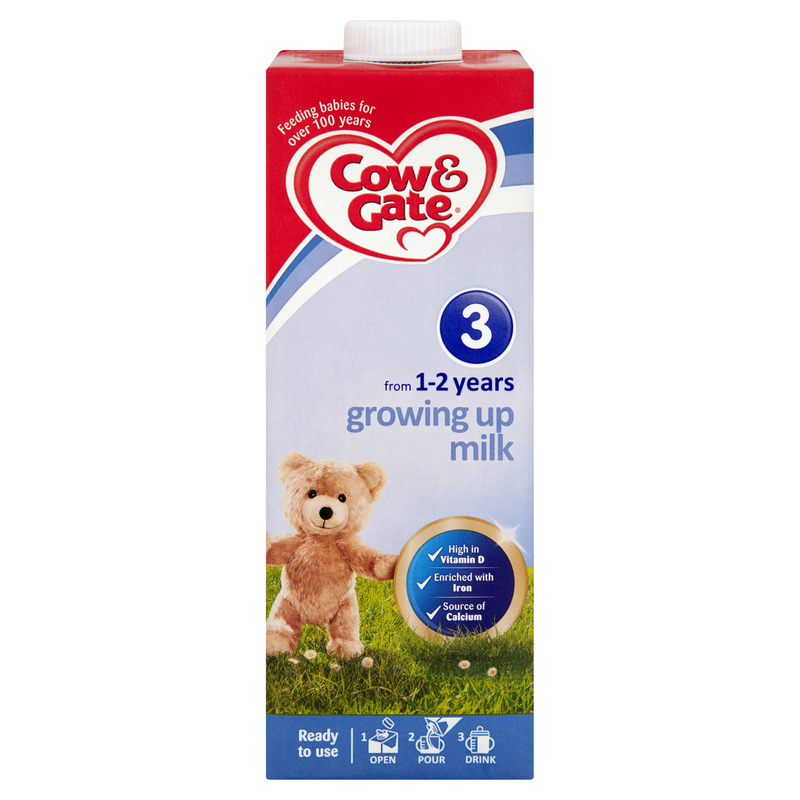 From 1-2 years, your toddler will need about 2 x 150ml beakers of Growing Up Milk per day. We recommend one beaker in the morning and one at night. Ready to drink - no fuss! 1 Shake well before use. Open carton and pour into your toddler's beaker. 2 Serve either cold or warm. If warmed, check temperature of milk. Do not heat feeds in microwave, hot spots may occur and cause scalding. Before opening, store in a cool dry place. Once opened, unused growing up milk in this 1 litre carton can be resealed and stored in the fridge for up to 72 hours.